Thanks a lot Paul for volunteering @ MES. Paul has volunteered for a week and decided to stay more for a few days for MES. 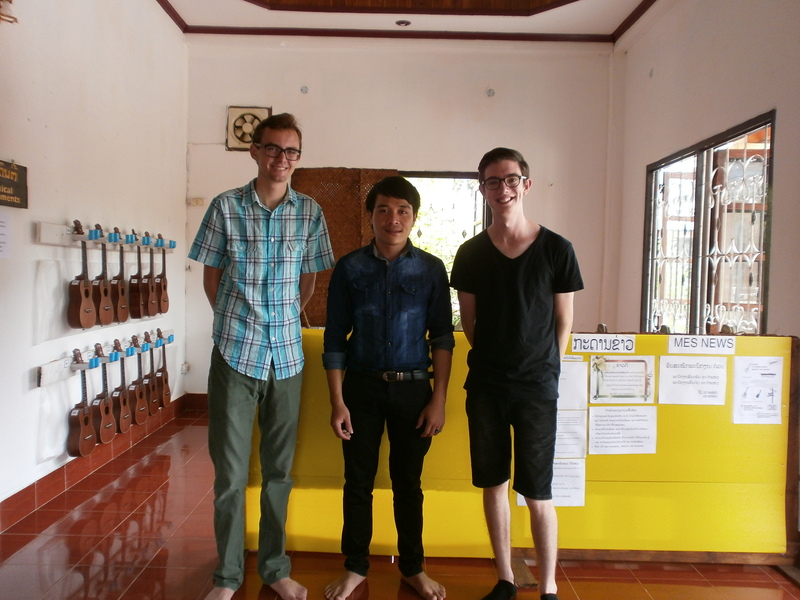 Last week, we had two friends Mr. Ben Kassman from the USA and Mr. Matt Taylor from Australia. They visited the MES for the first time and they were showed around and told about MES. 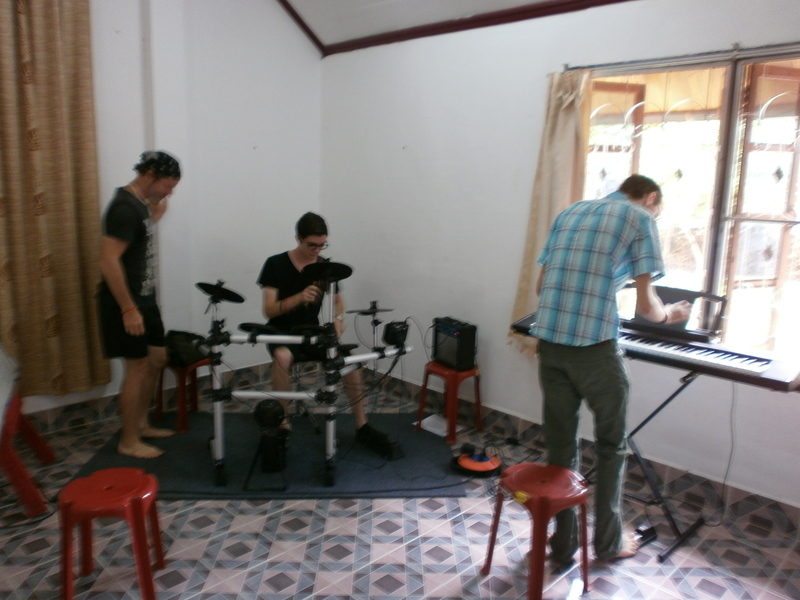 They were both really happy to see music being taught in Luang Prabang, also it is fantastic institution, and love the work being done at MES. 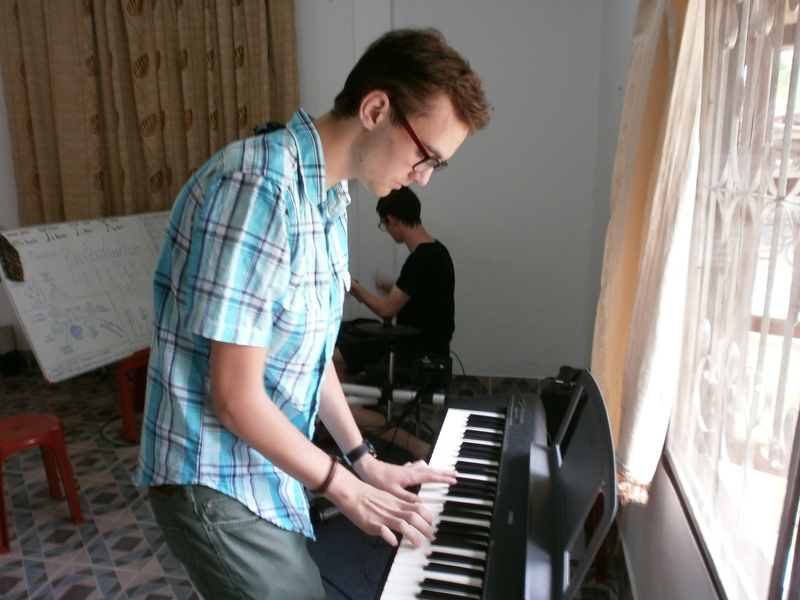 They both can play music and they decided to volunteer at MES to give the students some guitar and ukulele lessons. I am the director and MES students are really appreciated.